As veterinary health professionals, it makes us very happy that more and more pet owners are taking an active interest in the health of their pets. As pet owners, one of the biggest choices you have is your pet's diet, and we applaud everyone that does research and provides the best possible food for their pet. Unfortunately, there is a lot of misinformation out there about pet food. That is why we wanted to highlight grain-free diets, an increasingly popular trend, and why its purported benefits may not actually be based in truth. 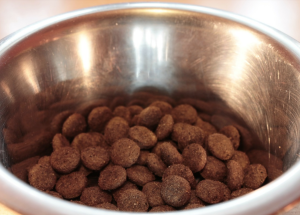 The first misconception about grain in pet foods is that it acts as a filler. A filler is an ingredient that holds little to no nutritional value, but grain actually provides essential vitamins, minerals, and fatty acids. You may have also read that grain-free diets do not contain carbohydrates. This may not be true, as many grain-free diets contain carbs in other forms. Furthermore, it is inaccurate to say that carbohydrates are a negative component of pet food, as they are an important energy source. Many people also associate grain products with allergies. While food allergies in pet are uncommon in general, allergies to grain in pets are even more uncommon. There is no real allergy risk when it comes to grain pet food products. Gluten intolerance is another very common term that most people are very aware of right now. While it might make logical sense that gluten intolerance, or Celiac's Disease, could have the same significance for pets as it does for humans, that is not true. Gluten intolerance is extremely rare in pets, so it is not something that pet owners will likely need to consider in their pet's diets. We want all pet owners to be actively engaged in their pet's health, as that is the best way to ensure that your pets live longer, happier, healthier lives. However, even well intentioned pet owners can be misled by misinformation, especially that which is spread through the internet from less than reliable sources. If you have any questions or concerns about your pet's diet, we encourage you to contact us today! We would be happy to speak with you at length about the best possible nutrition for your pet!